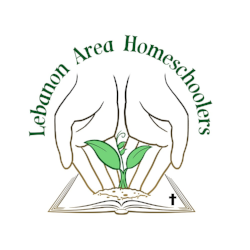 Lebanon Area Homeschoolers, Inc. is a not for profit corporation aiding families in the surrounding Lebanon, Missouri area by providing opportunities for homeschooling students and parents alike. Lebanon Area Homeschoolers will act as an umbrella organization for the homeschool groups in the Lebanon, Mo area and will be a platform of support for future homeschooling activities in the community, to strengthen and unite home educators moving into the twenty-first century for the glory of the Lord. This group is a uniquely Christian and charitable organization attempting to operate under the teachings of Jesus Christ our Lord. Over 25 Years ago (1990) a small group met together for a parent support group. This group provided field trips, some sports, a newsletter, a yearbook, a graduation, and the still popular performance night. This first organized group in Lebanon was the HOPE group. We have a number of resources no matter what stage you're in. From learning about homeschooling to curriculum advice, we're here for you!